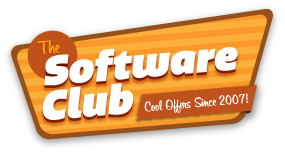 Discount works on GoodSync Desktop for PC and Mac and GoodSync2Go 10. For desktop versions you pay only $24.95 per license when you buy 2, or $18.95 per copy when you buy 3 or more. Goodsync is the easy way to backup and synchronize data between your computer and other devices, including laptops, tablets, portable hard drives, removable memory sticks and servers. Never be without your important files again. You pay only $29.95 per license when you buy 2, or $27.95 per copy when you buy 3 or more. Buy in bulk and get a reduced price. 1=$995, 2=$795, 3=$695, 4=$595, 5=$495. GoodSync Enterprise Workstation is automatically added to the cart at $49.95 per license. For those that have purchased GoodSync in the past you can still get a discounted price. Have your username and license number handy and you can enter it into the cart where it says, “Upgrading or buying additional licenses?”. GoodSync provides synchronization and backup for your devices. It will detect and find new files, changes made to documents and make sure that old and deleted files are removed from the other devices too. Use it to backup or sync your folders between computers or onto the cloud with services like Amazon S3, DropBox, Google Drive etc.